Kamin Williams Photography: Good Morning Friends.. Cute! I can't wait to see how Rylan's turned out. This is so sweet. I am DYING to see ours! This is so cute! 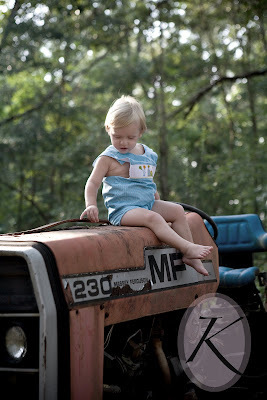 Nic LOVES tractors. I'm going to have to schedule a session with you! I haven't had his pictures made since last Nov! So cute. I can not wait to see the pics. The ones of Ella were adorable too! Thank you girls! I loved them all too, I can't wait for you all to see them!